Draws are out for the 2014 Rogers Cup, held in Toronto, Canada this year, begins the Emirates Airlines US Open Series, leading up to the US Open. Roger Federer is seeded second, receiving a first round bye, and faces either Peter Polansky or Jerzy Janowicz in the second round. The Swiss maestro has been prominent in tennis news in recent weeks, with all things surrounding the final design of his new, Wilson Pro Staff RF97 racket. Watch: Wilson Betterer Episode 3. Graduation. The soon to be 33-year-old Swiss (August 8) could face Marin Cilic in the third round, followed by fifth seeded David Ferrer or big serving John Isner in the quarterfinals. 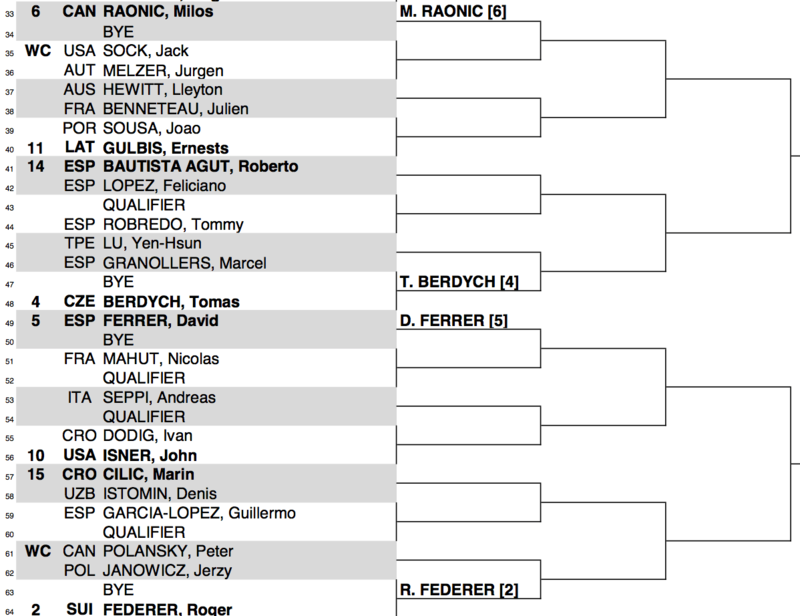 Beyond that, Federer is projected to face either fourth seeded Tomas Berdych or sixth seeded Milos Raonic in the semifinals. 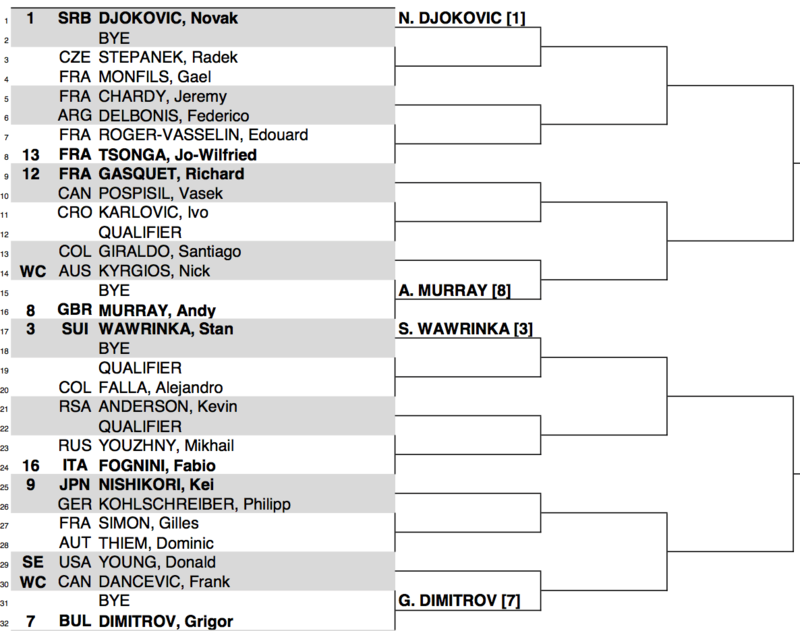 Top seeded Novak Djokovic, third seeded Stan Wawrinka, and seventh seeded Grigor Dimitrov lead the top half of the draw. Rafael Nadal has withdrawn from both the Toronto and Cincinnati masters events, citing a right wrist injury. View the full draw below or download the printable version here. Federer returns to Toronto for the first time since 2010. He did not play in 2012 with a busy summer schedule, where he won Olympic silver in singles. The Rogers Cup alternates locations annually between Toronto and Montreal. 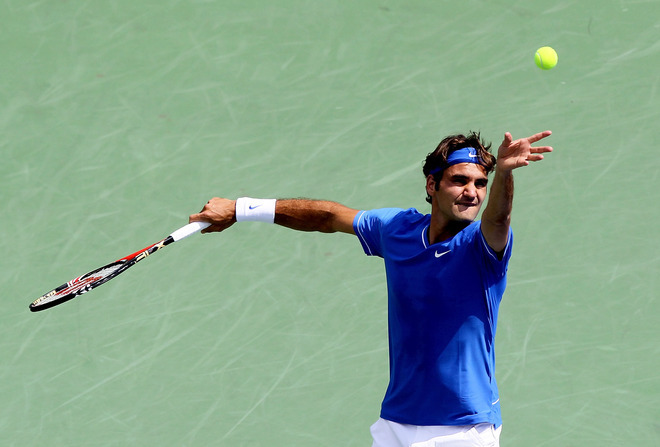 Watch full coverage of the 2014 Rogers Cup (Toronto masters) on FedFanTV.